KANSAS CITY, Mo. 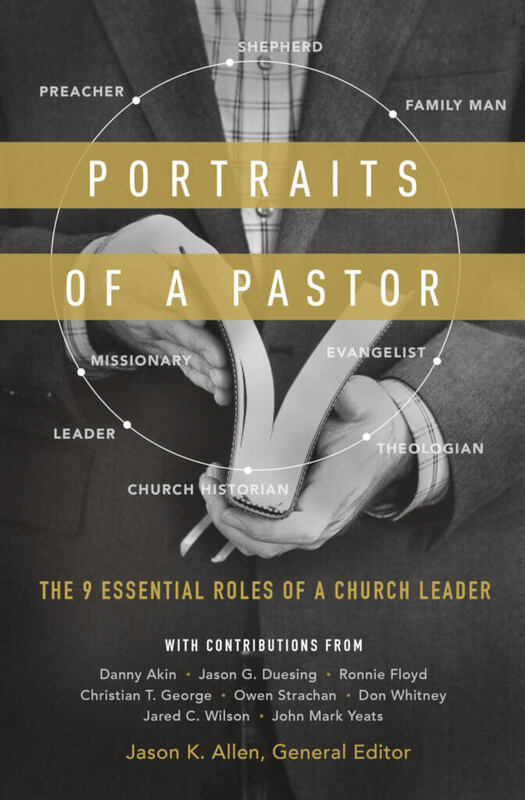 — Midwestern Seminary announced today that the book project Portraits of a Pastor, edited by President Jason Allen, was released by Moody Publishers on Sept. 5. Within the 192-page work, based off the theme for the seminary’s 2016 For the Church Conference, Allen and eight other contributors from around the Southern Baptist Convention offer insight into nine essential roles a church leader carries out. In answering these questions, Portraits of a Pastor explores roles and provides keen insight and practical application into areas such as the pastor as shepherd, husband & father, preacher, theologian, church historian, evangelist, missionary, leader, and man of God. “It has been a privilege to partner with the Moody Publishing team to produce a book that, I pray, will assist church leaders who are seeking to better understand and define the key roles in which they serve on a daily basis,” Allen said. Authors who contributed chapters to the book include Daniel L. Akin, president of Southeastern Baptist Theological Seminary; Ronnie W. Floyd, pastor of Cross Church in Fayetteville, Ark. ; Jason G. Duesing, provost at Midwestern Seminary; Donald S. Whitney, professor of of biblical spirituality at Southern Baptist Theological Seminary; John Mark Yeats, dean of Midwestern Baptist College; Owen D. Strachan, associate professor of Christian theology at Midwestern Seminary; and Jared C. Wilson, director of content strategy & managing editor, For the Church website. “This wise group of pastoral theologians has teamed up to provide church leaders with a valuable resource for local church ministry,” said Tony Merida, pastor of Imago Dei Church in Raleigh, N.C.
To purchase Portraits of a Pastor through Moody Publishing, please click on this link.